Syllogism is a verbal reasoning type problem, which is an important topic and is frequently asked in many competitive examinations in the Reasoning Section. These types of questions contain two or more statement and these statements are followed by the number of conclusion. You have to find which conclusions logically follow from the given statements. It looks easy but in reality is not that much. We have seen so many aspirants are finding difficult in solving these questions. 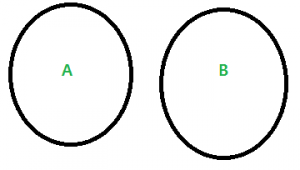 Usually Venn diagram method (Easy) is used to solve these but they will consume time in case of NO/Possibility conclusion cases. There is no limit as an infinite number of patterns are possible in the Syllogism Questions. Following are some of the most common patterns frequently asked in Competitive Examination. In this type, the pattern consists of a the whole circle representing A, lying within the circle representing B. Example: All dogs are animals. Pattern 2 Syllogism: No A is B. In this type, the pattern consists of a the two circles representing A and B not intersecting at all. Example: No Dog is a Cat. Pattern 3 Syllogism: Some A are B. 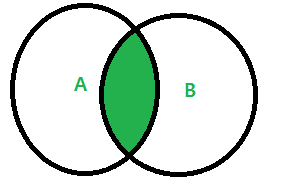 In this type, the pattern consists of the two circles representing A and B having some part in common. All A are B and All B are A. Example: Some dogs are cats. Some dogs are not cats. All dogs are cats and All cats are dogs. Pattern 4 Syllogism: Some A are not B. 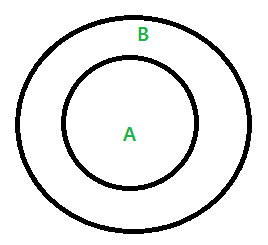 In this type, the pattern consists of the circle representing A having some part which is not common with circle representing B, while the remaining portion of circle A is uncertain whether this portion touches B or not. Follow the tips given below to solve question based on Syllogism. 1. The first step is to make a Venn diagram. Go through all the statements given in the question one by one. 2. Understand how to draw Venn Diagrams for each statement. 3. Try to observe if there is any familiar concept or statement in the given syllogism. 4. The Second step is finding out the conclusion. 5. Understand how to draw a conclusion for each concept/statement. 6. There is no need to memorize any statement or conclusion. 7. All you need is to understand the Concept and draw the Venn Diagram accordingly. 8. The key point here is to attempt the question in a sequential manner.